Add the vodka, Kahlüa, crème de cacao and Baileys and shake well until the outside of the shaker becomes frostedd. Strain into a martini glass. 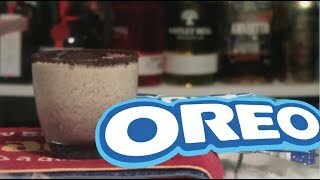 Wedge an Oreo onto the side of the glass as a garnish and enjoy!